Earlier this week Heather has been traveling around visiting Belgium and the Netherlands. From the emails that we had been getting from her seemed like she has been very busy seeing all the sights. Today we'll be sharing some photos from her trip around Belgium. She sent some photos to us from Antwerp, Belgium. But even while traveling the mind of a designer is still at work and it's reflected in these photos from Antwerp. 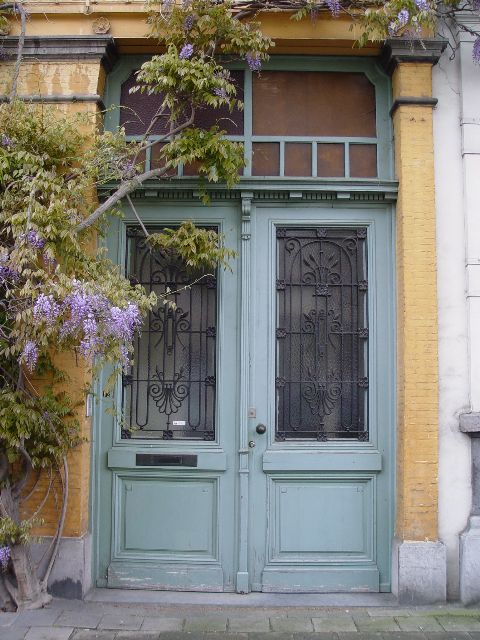 Wisteria beautifully climbs up and frames the doorway. It's really lovely to see the wisteria still in bloom and it looks so beautiful in contrast to the canary colored walls. 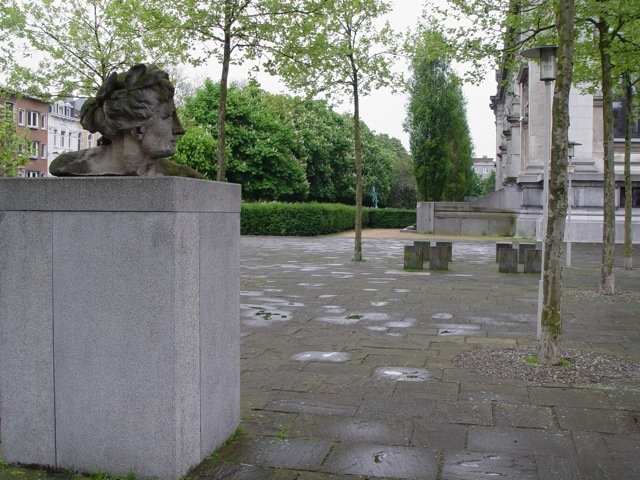 A statue in Antwerp; the pavement is also very interestingly patterned. Heather also went to Bruges (which is also in Belgium) as well. 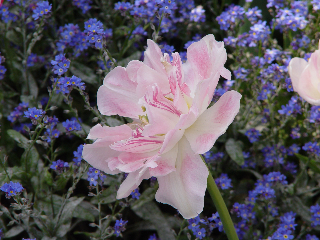 All the photos that she sent to us so far are of beautiful flowers blooming and very interesting places of where plants have truly taken off, and other interesting things. 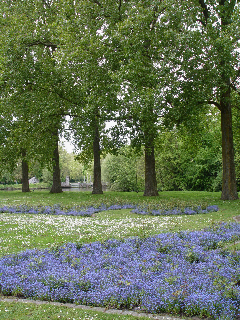 Left: Beautiful purple and white flowers blooming; it almost looks like a path way being laid out in color. 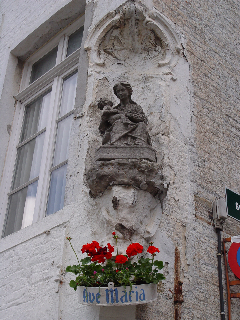 Right: Way to make use of a building corner: cut into the corner, lay a beautiful statue and have a small planter for geraniums. 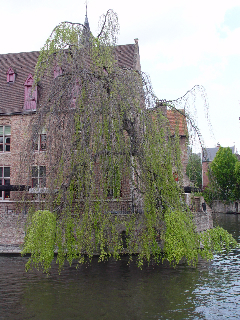 Left: Trees will grow anywhere that you let them grow, even in a very random place like here against the river. 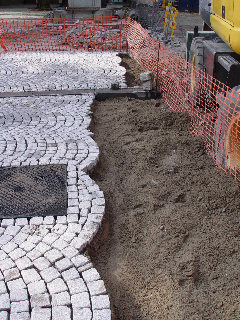 Right: A construction site still in action where cobblestones are laid out individually piece by piece. Tomorrow we'll be posting up more photos from her visit to Middelburg in the Netherlands.